Beautiful MomentsWhat is a business continuity plan? Many people, business owners included, believe that Microsoft’s operating system XP is one of the best systems out there. As such, they are still using this in their businesses and homes, and intend to do so for the foreseeable future. The problem with this however, especially for businesses, is that Microsoft is no longer supporting XP, which could mean important data and systems are at risk. What exactly does the end of support for XP mean? Increased security risk – Because Microsoft is no longer supporting XP with security updates, systems running this operating system (OS) will become more vulnerable to security issues. And because Microsoft isn’t fixing these issues, systems running XP are now easy targets for hackers who will without a doubt be developing malware that specifically targets and exploits these systems; putting your data and systems at risk. Decreased productivity – Since Microsoft announced that they will be cutting support for XP, many Windows based developers have also stopped supporting it. This means that new software and hardware will likely not be supported by XP and not work effectively, if at all. This will lead to decreased productivity as employees struggle to achieve tasks on systems that no longer work, or programs that are now running too slow. Increased operating overheads – Finally, in order to keep your systems running you will need to invest more capital. Finding software and hardware that works will become less affordable and correcting security issues and malware intrusions may come at a higher cost. In other words, if you have not started to look into migration, the April 8th deadline should have been seen as the strongest determinant that it is time to move on and upgrade. What should I do if my systems still run XP? If your business has computers with XP, or you still have XP on your computers at home, there are a number of steps you should take. 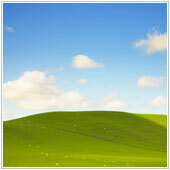 On April 8, Microsoft released the final patch/update for XP. It is worthwhile ensuring that you update all computers and systems running XP by downloading the latest patch from Microsoft. Don’t be tricked into believing that your computer is secure however, you can bet that security faults will be found and exploited in the near future, if not already. This is an important step to take for all businesses, especially those running XP. An up-to-date antivirus or malware scanner that is set to run on a regular basis can be a big help in protecting systems. It is important to note that while antivirus scanners do help, they will not be able to keep legacy (older) systems completely secure, especially if the developers of these scanners turn their attention to viruses affecting newer operating systems. It is essential that you have a strong scanner that is kept updated, even if you are currently in the midst of an upgrade or are planning to upgrade. Internet Explorer is Microsoft’s browser that comes with every version of Windows. There are many companies using this browser but you need to be aware that just like XP, Microsoft doesn’t update older versions of Explorer. In fact, the latest versions of Explorer aren’t even compatible with XP, so you are likely using an older version of Explorer which could be less secure. What you should do is use another browser like Chrome of Firefox. Both of these browsers receive updates on a regular basis and are generally more secure that older versions of Explorer. The tips above all focus on what to do if you are currently using XP. However, these are more like half-measures; ways to keep your system secure and your computers running in the short term. What you really need to be doing is planning to upgrade existing systems to newer versions of the OS. An example might be to use Windows 7, which still receives updates and offers many of the same functions and features of XP. It might also be a good idea to look into upgrading your hardware as older versions may not support many of the newer programs. While it may seem costly to upgrade hardware, there are a number of benefits to this. First, most hardware which businesses require in order to operate is relatively affordable and IT partners like us can help you find the best, most affordable options for your business. Secondly, almost all new hardware, like computers, laptops, and monitors, are far more energy efficient and can serve to reduce overheads. Finally, investing in upgrades will go a long way in preventing security breaches and malware infections which are costly to prevent and fix on older systems. This could lead to reduced recovery costs should an infection occur. Before you upgrade, or even begin to look into this, you should back up all of your data so that should anything happen eg., a security breach or system failure, you have your important business files backed up and secure. Contact us. While it may not seem like a feasible idea to upgrade at this time, or it you think your systems are secure, it is still advisable to contact us and check, and stop using XP if you still are. We can help ensure your systems are upgraded and migration is smoothly successful without breaking the bank.